Dr. RICHARD FERMAN is CEO and Medical Director of Aptima Behavioral Medical Group, Inc. and ADHD Specialists with offices in Encino. He provides psychiatric consultation, evaluation and treatment for adults, couples, families, adolescents and children. Dr. Ferman has been in practice over 25 years, His specialties include attention deficit disorder (for adults, college & graduate students, children, adolescents, parents and families), co-occurring conditions (i.e., depression, OCD, anxiety, oppositional disorder, bipolar disorder), mood disorders, psycho-pharmacology consultations and treatment. Dr. Ferman’s experience includes in-patient treatment for adolescents and adults. Dr. Ferman serves as a guest lecturer on a variety of mental health topics, especially Attention Deficit Disorder. Dr. Ferman has been a consultant, advisory panel member and/or speaker for the following companies: Abbott, Celltech, Eli Lilly, Forest, Glaxo Smith Kline, Jensen, McNeil, Novartis, Pfizer, Shire and Wyeth. 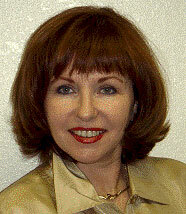 Dr. Ferman is a graduate of U.C.L.A. School of Medicine. He trained in adult and child psychiatry at Cedars-Sinai Medical Center and in internal medicine at Wadsworth V.A. Hospital. He was co-founder and Medical Director of the South Bay Therapeutic Clinic. He also founded and directed Wholistic Medicine and Counseling Center, Inc., Western Center for Psychiatry, Allergy, and Neuro-Immunology and The Center for Integrative Health and Counseling. SARAH A. FERMAN, LMFT, MBA, PCC is Vice President of Operations and Prinicipal Client Care Coordinator at ADHD Specialists, a licensed psychotherapist and professional coach with a balanced mix of over 20 years experience in the corporate and business communities, as well in personal development. Sarah is a licensed marriage and family therapist and a professional certified coach. Her specialties include Adult ADD/ADHD, life & career transitions (men/ women/couples), couples (where one or both are ADD/ADHD), relationships and clinical hypnotherapy. Her therapy clients receive supportive counseling, cognitive reframing and psychotherapy. Sarah’s coaching clients are executives, professionals, entrepreneurs, propreneurs, start-ups and small businesses owners, who want to improve and transform their businesses, work smarter, be more successful and live a more balanced successful life. Sarah’s focus is on helping her clients unleash their potential, clarify and actualize their goals and desires, harness their strengths, develop strategies to navigate and build solid foundations, and create positive and successful patterns to fulfill their goals and dreams. Sarah holds degrees from UCLA and Pepperdine University with a Master’s in Business Administration, and Master’s in Clinical Psychology. Sarah is a Clinical Psychology Doctorate (ABD) graduate, a Certified Clinical Hypnotherapist, Graduate of the MentorCoach School of Coaching and MCC, Certified by the International Coaching Federation as a Professional Certified Coach (PCC), and Certified Authentic Happiness Coach. Sarah’s experience includes managing, operating and developing a psychiatric center specializing in ADHD, owning several small businesses, including a Psychotherapy business. She also is the former CAO of a multi-national Artificial Intelligence Research Company, where she facilitated the companys acquisition/merger of several specialized engineering companies and the transition to an IPO on the NASDQ. Sarah is a Board member of the Professional Association of ADHD Coaches (PAAC), an active member of the International Coaching Federation (ICF), former Treasurer of the Los Angeles Chapter of the ICF, the International Association of Coaches, Conscious Business Circle, N.E.W. Entrepreneurs, California Women Business Owners, National Womens Business Association, Worthwhile Referral Service, CAMFT, AAMFT, and the American Hypnosis Association, Hypnotists Union (AFL/CIO) and several other professional organizations. Her favorite activities include dancing, shopping, laughing with friends and cruising. ROBERT WILFORD, PH.D. is the Clinic Director for ADHD Specialists, and a licensed clinical psychologist who specializes in working with Adults, Teens and Couples with Attention Deficit Hyperactivity Disorder and coexisting conditions. He is especially good at working with patients who have suffered trauma, grief and loss associated with a history of ADHD. His approach keeps in mind the neurological aspects of ADHD as well as the psychological issues that develop from a lifetime of being impacted by ADHD. Dr. Wilford is an energetic and interactive psychotherapist who specializes in helping his patients solve the problems that arise when you are living with ADHD. He actively helps his clients develop, manage, and executing solutions to the many challenges faced by people with ADHD living in a mostly non-ADHD world. He has spent the last 20 years actively researching and studying learning differences since he was diagnosed with ADHD in 1989. Dr. Wilford brings not only clinical experience and education, but also first hand understanding and compassion about what it is really like to face the unique set of challenges faced by people with ADHD. In addition, Dr. Wilford is also part of a unique treatment team of psychiatrists, therapists and other ADHD advocates & practitioners and provides consultations to both professional psychotherapists as well as to individuals and their families. Dr. Wilford received his undergraduate training at Brigham Young University. He completed his Masters in Psychology as well as his Doctorate of Clinical Psychology from California Graduate Institute in Los Angeles. Dr. Wilford’s work on couples and the dynamics of intimacy and satisfaction have been published and his co-authored studies have been presented in peer-reviewed journals. He is a sought after lecturer on issues related to ADHD. 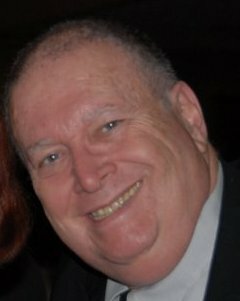 He also volunteers his time a member of the professional Board of Directors of the SFV chapter of CHADD. His provides talk therapy, marriage and family therapy, cognitive-behavioral therapy, behavioral coaching.